Liverpool have made a positive start to the Premier League campaign, showing that they’ve got plenty of quality and depth at Jurgen Klopp’s disposal this season. The Merseyside giants have started with three wins in three league games, scoring seven goals while conceding none as they haven’t even been at full strength as of yet. With the options available to Klopp, there are individuals that could struggle to secure regular playing time this season and so exits would serve the players well while trimming the Liverpool squad to avoid unrest growing. As reported by the Liverpool Echo, Divock Origi, Lazar Markovic and Sheyi Ojo are the three names that could depart before Friday’s deadline for Championship clubs and around Europe, and it would seem beneficial to all parties concerned if deals are made. In contrast, it could be argued that the Reds would be wise to keep as much depth as possible as they’ll be looking to compete on various fronts this season and will need to rotate at various points. Nevertheless, with Roberto Firmino, Daniel Sturridge, Dominic Solanke, Mohamed Salah and Sadio Mane all arguably ahead of them in the pecking order, it seemingly makes sense that the trio named above move on as they could struggle to force their way into Klopp’s plans this year. 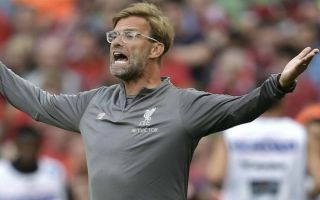 Liverpool appear to have struck a real balance so far this season, but time will tell if they can add consistency to that to emerge as genuine title contenders while also building on their run to the Champions League final last year. Having the same core in place throughout the campaign could be crucial to making that happen and so Klopp may well be sensible in letting go of a few fringe players and focusing his efforts on those who can have a decisive impact this campaign.